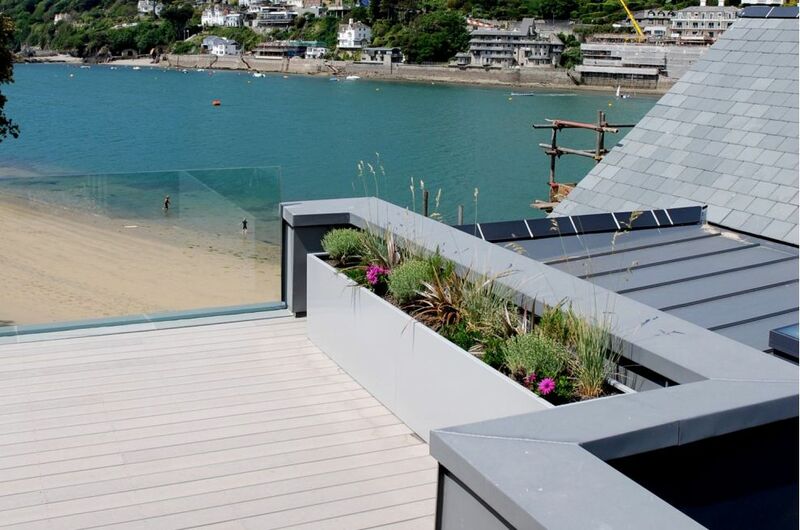 A selection of large bespoke steel planters were commissioned for this prestigious beachfront residence on the South Coast of England. 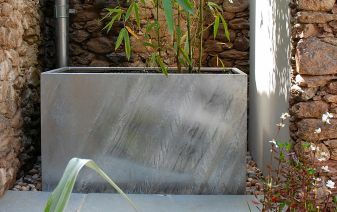 A total of 12 large planters were commissioned, in sizes up to 3000mm, and in various geometric forms. 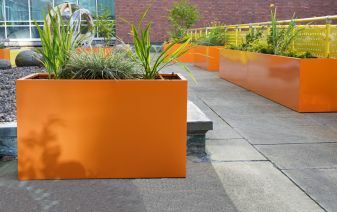 Given the extreme coastal location, the planters were fabricated from 1.5mm thick 316 [marine] grade steel, powder coated. 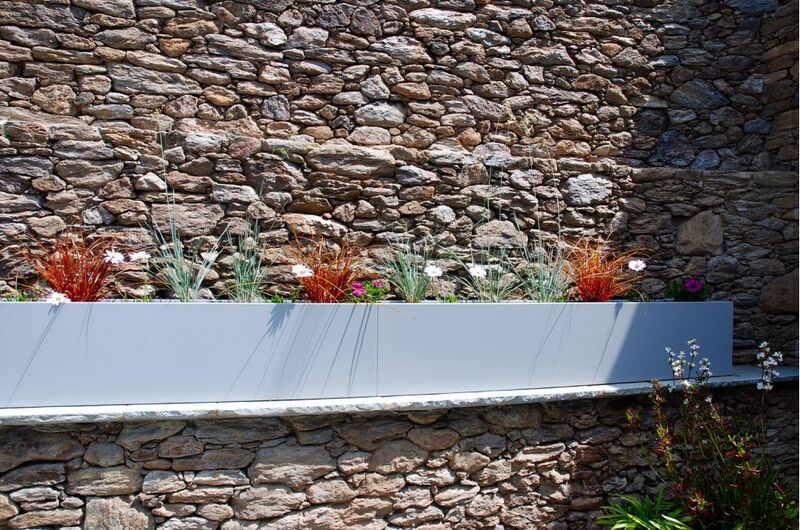 Landscaping the site represented a significant challenge given the exposed, beachfront location; the property’s clean, modern design aesthetic; and the client’s requirement for minimal maintenance. 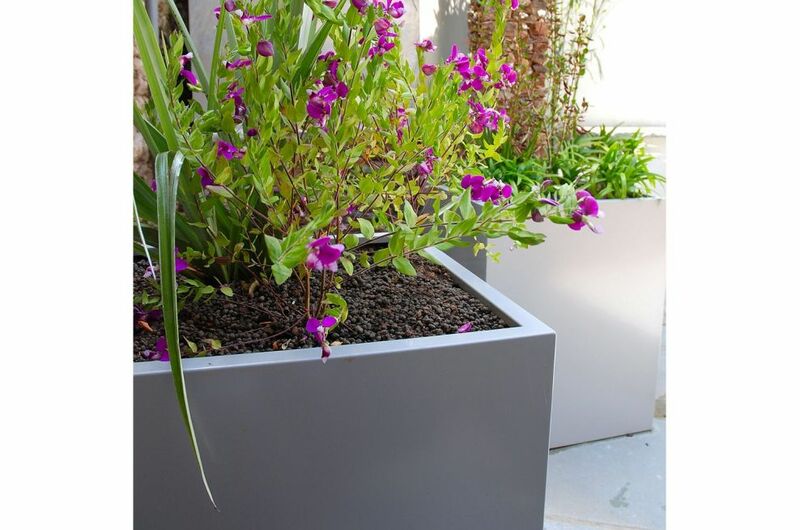 In balancing these considerations, all exterior spaces open to the prevailing weather are laid with either grey decking or white sand, and there are no areas of soft landscaping. 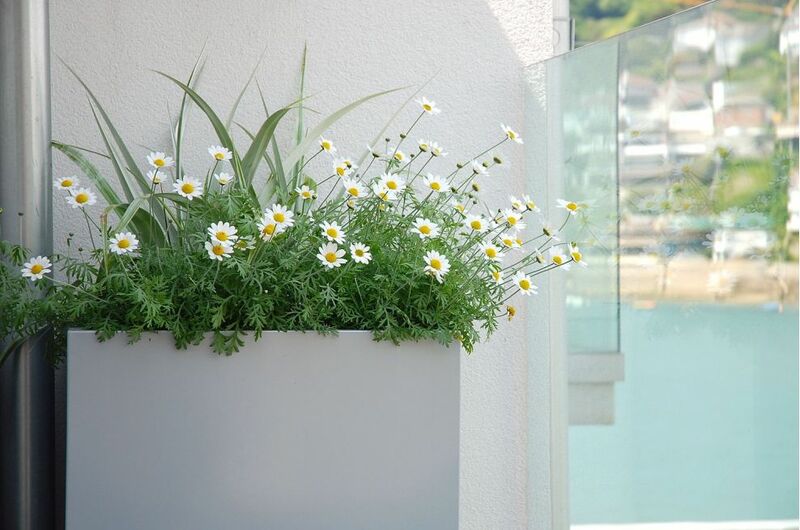 However the opportunity did exist to green three more protected spaces: a balcony; an open roof terrace overlooking the sea; and a second, completely private roof terrace, which forms a secluded and intimate oasis accessible only via the Master Bedroom. 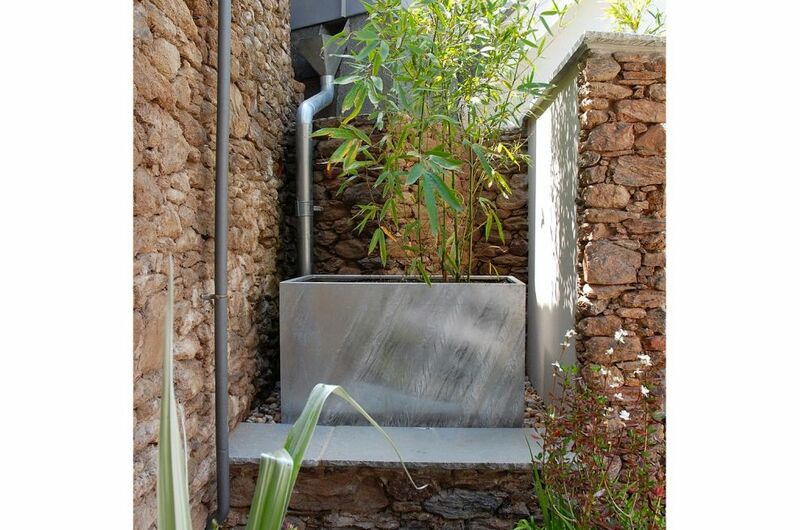 The residence’s modern design is consistently applied through white walls, frameless glass balustrades, grey roof tiles, and through the choice of aluminium for rainwater goods and wall cappings; but these strongly modern architectural elements are both softened and accentuated by large areas of bespoke walling, hand-laid in a warm bronze and copper stone which was specially sourced for the project. 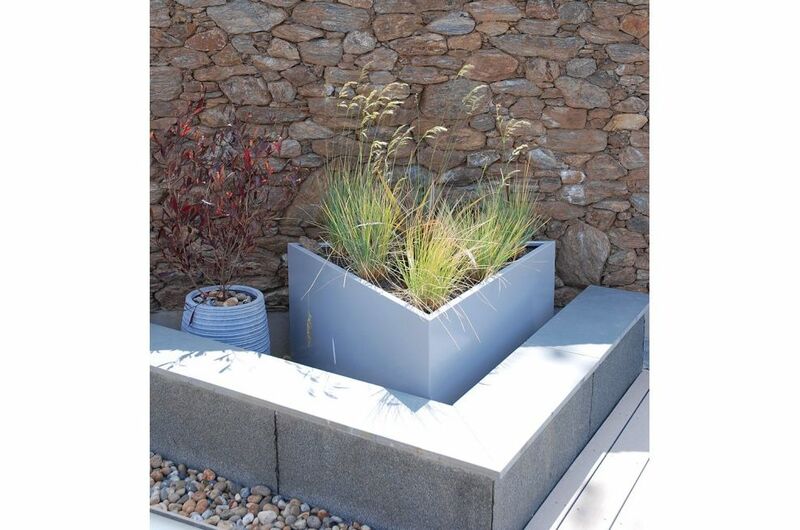 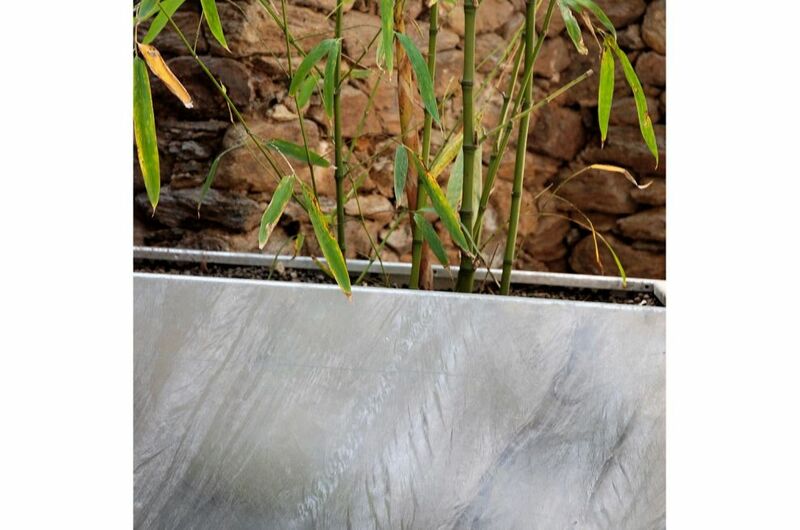 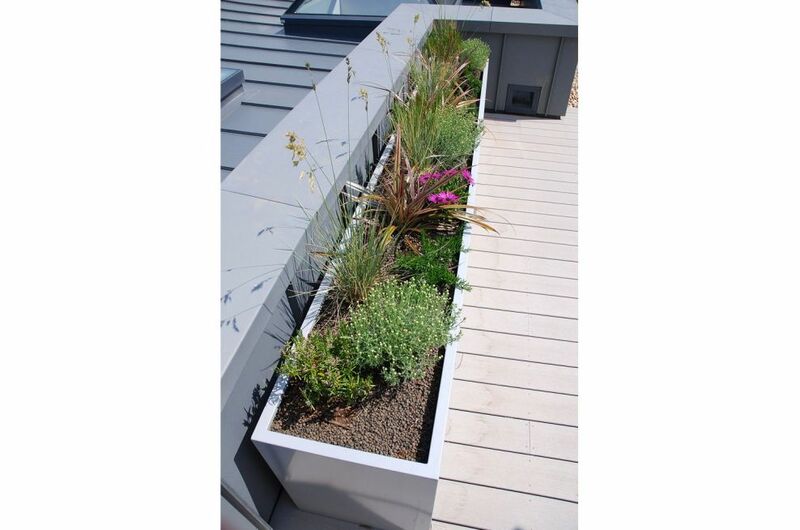 To complement the design of the house, IOTA’s steel planters were powder coated to RAL 9006 [White Aluminium], and the planting is soft, informal and naturalistic, picking up on the warm tones within the walling. 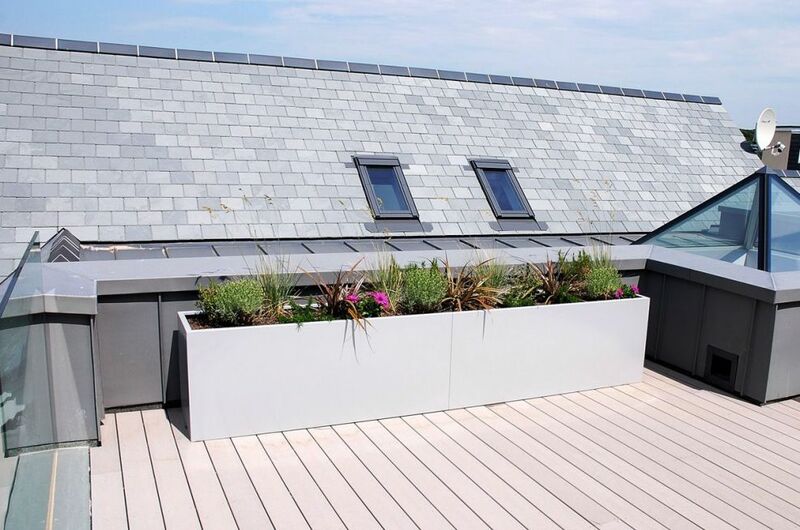 The trough planters and pots were commissioned by Stopher Design Partnership, the architects responsible for the complete redesign and refurbishment of this prestigious beachfront property. 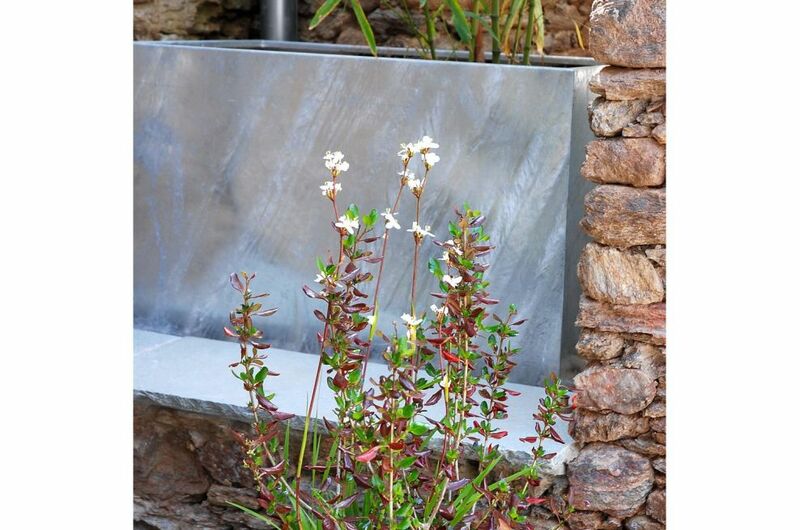 Stopher Design Partnership are skilled in both architectural design and landscape design, and they operate on the philosophy that “the setting for a home is just as important as the building itself. 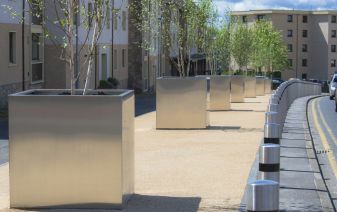 So we work on the landscape and architecture as a single, integrated project – each complementing the other, bringing out the best in both”.